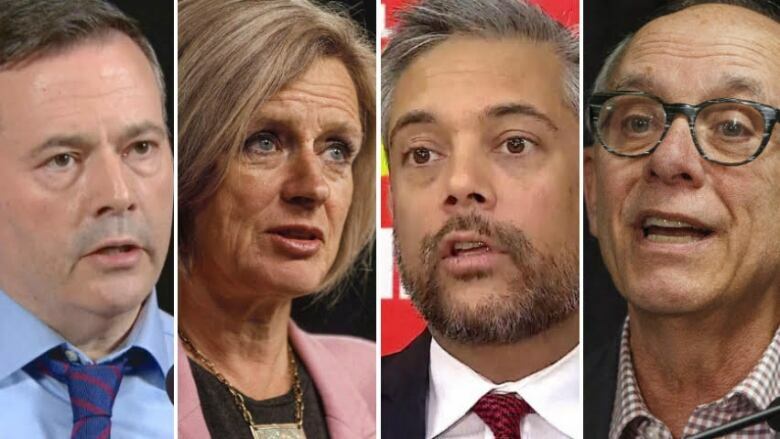 Albertans tuned in to watch Rachel Notley, Jason Kenney, David Khan and Stephen Mandel debate the issues Thursday evening. CBC News examined claims made by the party leaders during the debate and all four had misleading claims. Comments made by politicians and the parties online are ranked as true, false or muddy in CBC News fact-checker articles. Here’s why: The health-care portion of the Alberta Party platformdoesn’t mention privatization, or private delivery of services. In fact, the party wants to increase health benefits by adding an annual dental care check up for children ages 12 and under. Here’s why: Stephen Harper’s federal Conservative government, which included Kenney, signed off on the Northern Gateway pipeline. But Ottawa’s approval was overturned by the Federal Court of Appeal in 2016, and the Liberal government did not appeal the court decision. Here’s why: Statistics from 2018 show that Alberta does spend more per person than any other province. However, the territories certainly have the most expensive health-care systems in Canada. For example, health-care costs per person in the Northwest Territories were more than double that of per-person costs in Alberta in 2018, according to the Canadian Institute for Health Information. Here’s why: It is impossible to check every speaking engagement and media scrum over Kenney’s nearly 20-year federal career. Technically, Kenney said the word “pipeline” three times in the House of Commons, although he was an opposition MP and not a cabinet minister at the time. Kenney also mentioned the Northern Gateway pipeline by name in the House of Commons. While he was federal employment minister in 2014, he said “pipeline” several times when speaking to CBC about the impact of falling oil prices. Here’s why: In 2018, one-third of Alberta Grade 9 students failed the provincial exams for math. An international test taken by Alberta Grade 4 students in 2015 showed math scores had been slipping over 10 years. Here’s why: The NDP’s Bill 24 prevented teachers from outing students who join a gay-straight alliance (GSA) at school. When the bill passed in November 2017, the 23 MLAs who voted against it were from the UCP caucus. One UCP MLA, former Wildrose leader Brian Jean, was absent from the vote. Another, Leela Aheer, abstained. Here’s why: An auditor general’s report, delivered in 2018, showed that Alberta Education has spent billions of dollars over 13 years to try and reduce class sizes, without actually reducing class sizes. The auditor general also found that the government wasn’t tracking how that money was spent within school districts. Here’s why: Over the past several weeks, there have been high-profile controversies involving UCP candidates making sexist, homophobic, or racist remarks. Two of those candidates, Caylan Ford and Eva Kiryakos, have since resigned. Mark Smith, the candidate for Drayton Valley-Devon, has apologized for remarks he made about homosexual relationships. As part of an ongoing effort to hold Alberta’s political leaders and political parties accountable, CBC News will fact-check comments made by politicians and photos posted online at various times along the campaign trail.